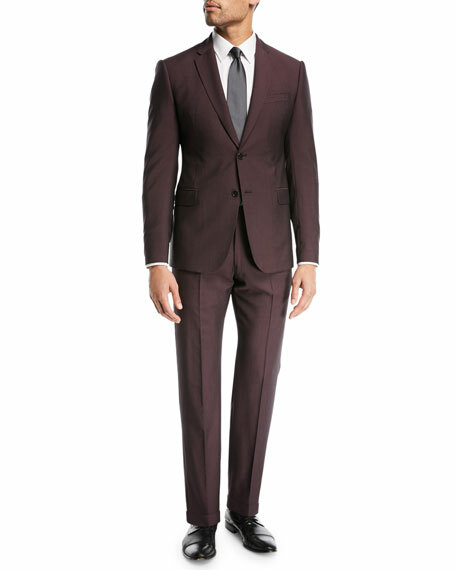 Emporio Armani two-piece suit in tonal stripes. Emporio Armani watches bear the same distinctive style as the impeccably tailored clothes from the core Giorgio Armani collection. Both modern and traditional, these timepieces convey a casual sophistication, and the entire collection, which includes three-hand, chronograph, and digital styles, has a youthful spirit. Each watch is carefully crafted in a range of mediums, from stainless steel cases and straps to those with leather and rubber straps. 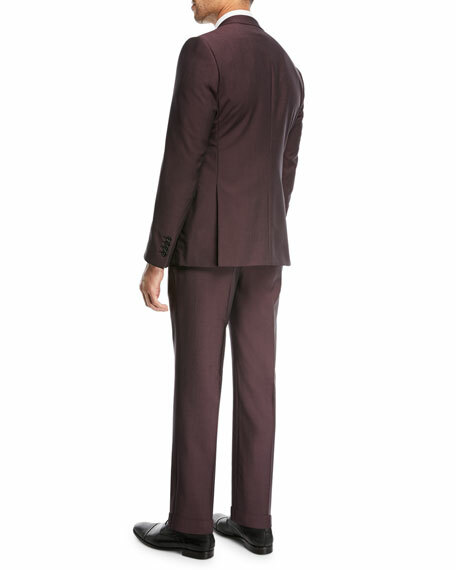 Emporio Armani two-piece tuxedo suit from the G-Line Collection Peaked satin lapels; one-button front. 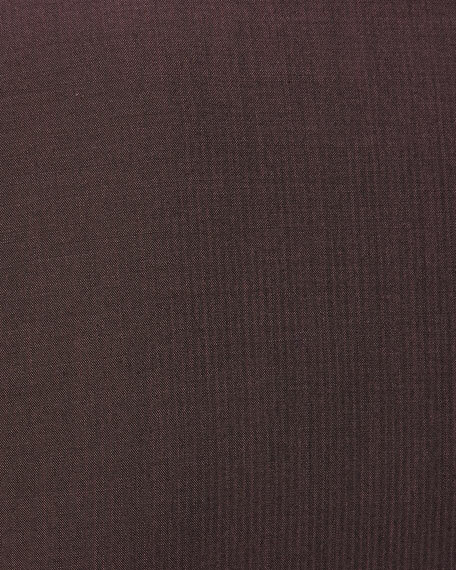 Finished sleeves; four-button detail at cuffs.